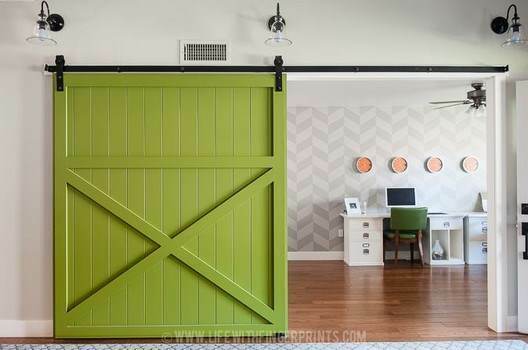 Barn doors are some of the most popular items in decorating and below are some great plans to build your own, whether it is from repurposed wood like pallets or new lumber. 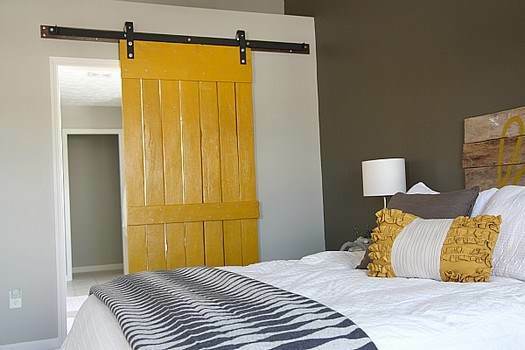 Barn doors add a rustic feel to any room, and at the same time are very functional. 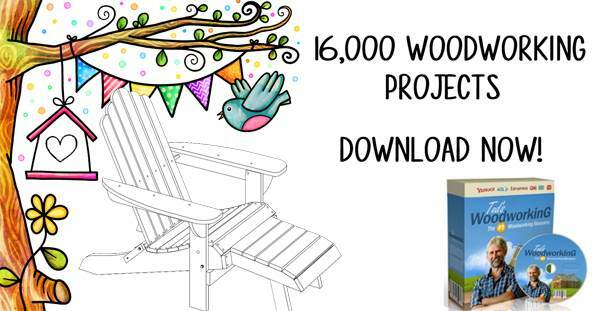 Easy to build, jump into one of these plans and save bunches of money building your own. Create a hanging barn door in a single day by applying siding to a hollow core door then add a distressed look using wood finish. 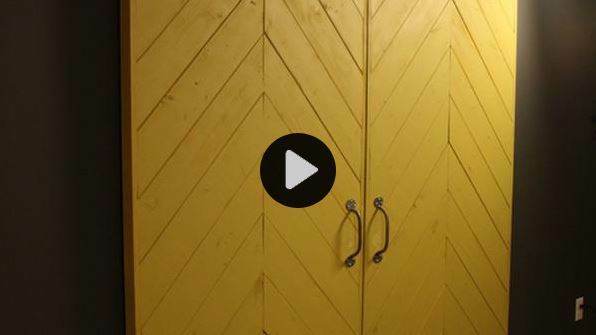 Plywood and wood-glue come together to create a hanging door that can be stained or painted to match your decor. 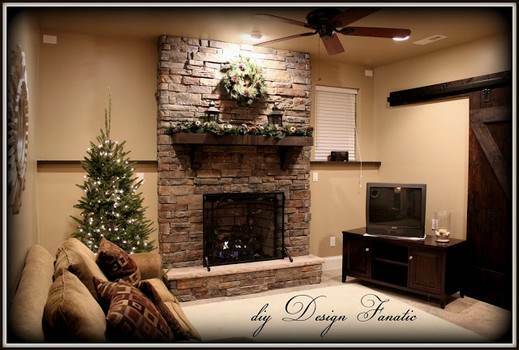 This plan takes scrap wood measuring 2 x 6 ft. and creates a barn door that has been stained for a rich rustic look. Plumbing parts and wheels are attached to a re-purposed door for a handsome yet inexpensive sliding door. 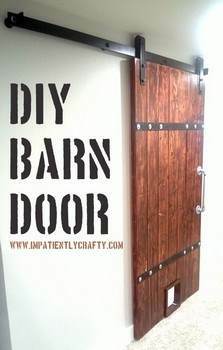 This plan offers instructional video plus step by step written instructions for building your own barn doors. 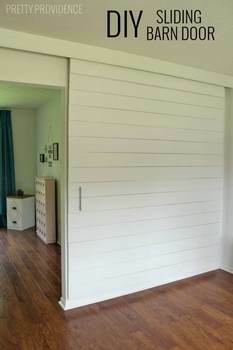 Here is an easy to follow plan for building a large sliding barn door using cedar fence slats and Elmer's Probond. 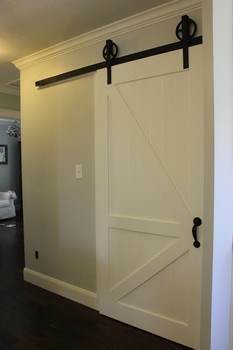 Build this good-looking 6 x 7 ft sliding door that is framed-out to create the look of a true barn door inside your home. 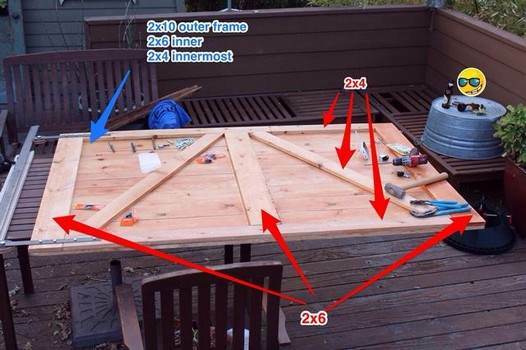 This plan is for a 12 x 8 ft outside barn door made out of weather and insect resistant cedar wood. Follow the detailed instructions to build a cedar-wood or white pine Dutch door with or without windows. Save money by building your own barn-door single arm tracker that is manually operated. 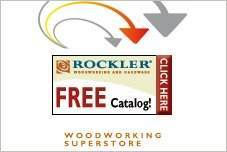 With the use of a circular saw, table saw and a miter saw you can build a strong and study barn door. 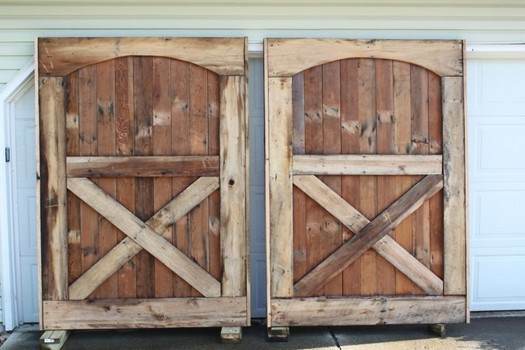 Turn inexpensive pine wood into a custom barn door with some sanding and stain applied for a great look. 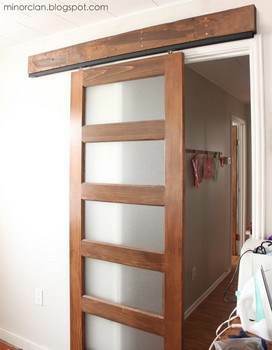 This plan uses plumping pipe and metal rings to create a great looking inexpensive sliding barn door. This door consists of an inner and outer wood frame with fabric attached to each side for a unique slider for the home. 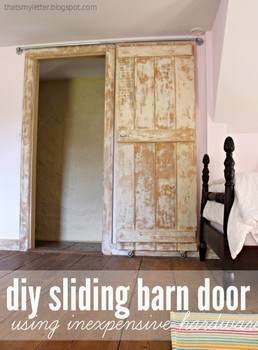 Using salvaged wood and hardware plus this easy to follow plan you can build a sliding barn door for very little money. 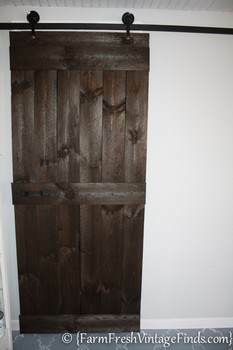 Here is a barn door project that turns a double track into a single track with wood attached to match the door. 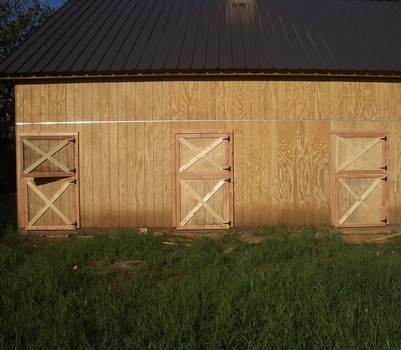 Here is a project that takes seven fence boards cut to a specified length using a meter saw to build a barn door. 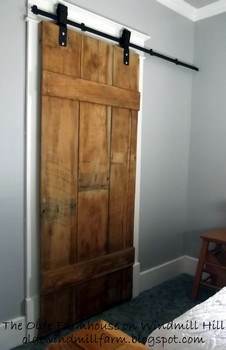 One galvanized pipe, a single wooden door and other hardware come together to create a handsome barn door for the pantry. 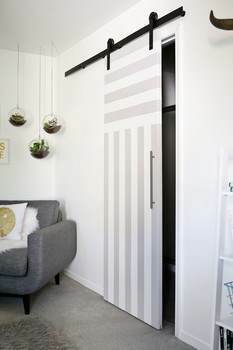 Use this plan to re-purpose a used wooden door by turning it into a stylish sliding barn door for your home. 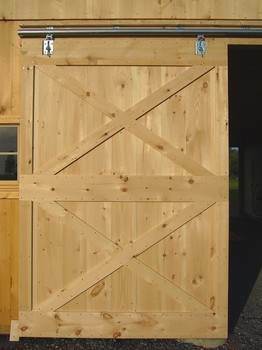 This plan gives you step by step instructions on how to build a strong and sturdy barn door for a barn. 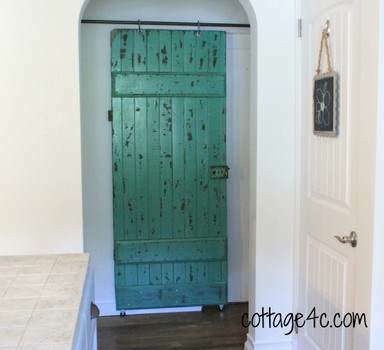 Using salvaged hardware and wooden floors from a barn this plan builds rustic barn doors measuring 6 ft x 83 inches. 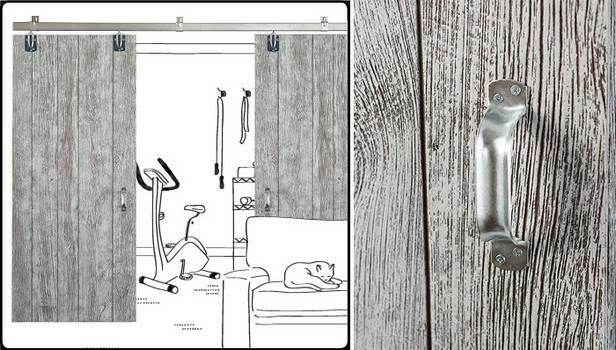 Here are instructions on how to build two sliding barn doors designed to cover up patio doors for additional privacy. 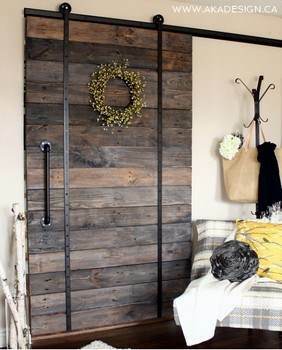 By using dog-eared fence boards, cloths lined pulleys and a tongue and groove board you can create an inexpensive barn door. 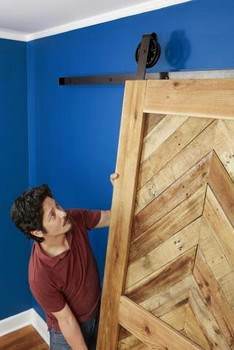 Turn a wooden pallet into a rustic sliding barn door that hangs from inexpensive DIY hardware.